Aero kit with front lip? 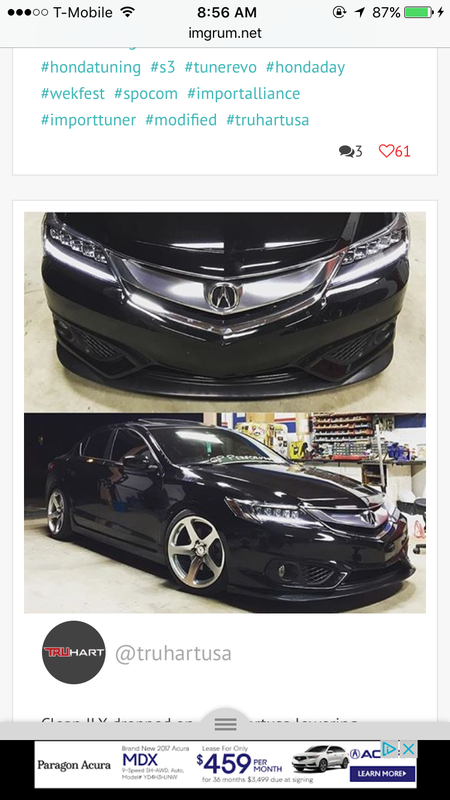 Does anyone here have a 2016 ILX with the aero kit attached? How would you go about adding a lip to the bottom of the front bumper... since the kit make the bottom of the bumper uneven? Only a small handful have the kit. None of them have mentioned wanting to add a lip. So far im not sure if thats the crowd that has picked up the 2016 so far. The Aero Kit itself is enough. Adding a lip on top of that would look stupid as hell. Believe me, the front ASpec kit is mean enough as it. Not to mention the '16 refresh already has a more aggressive front chin appearance when compared to the 13-15. No way dude. These front ends are screaming for a front splitter! A splitter can compliment just about any front end. 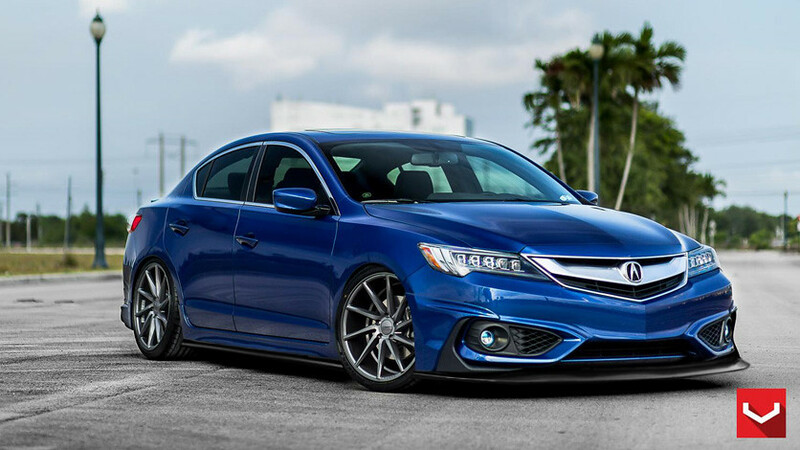 I put the OEM acura front lip on my ILX then added the STI splitter as well and it looks great IMO. Many agree. If you ask me the 2016 benefits just as much from the same addition. In comparison to the 13-15 the new 2016 front is definitely meaner but IN NO WAY "mean enough as it". I do like the aspec front lip. But to me it isnt really a front lip as it really doesnt take away from your front end clearance. The front doesnt look any lower just more aggressive. If more aggressive is all you need then Id imagine the aspec kit is enough. But most people want a "lower" look to their front bumper and a front lip should provide that. Some lips will actually help in allowing less air to travel under the car with more air over the car. Other lips just look like they do this. But the Aspec kit doesnt not provide this which is what many want. I assume this is why the aspec kit alone isnt enough for OP. 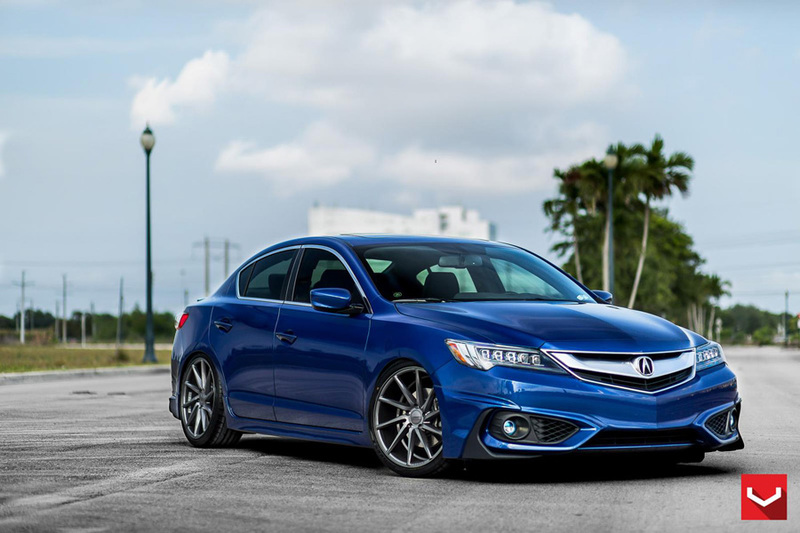 Here is a chop I did of a well known 2016 ILX with Aspec kit and a photochopped STI splitter from my car and a random side skirt extension from an STI. IMO that looks STUNNING with the front/side lips that actually make the car look lower and more aggressive verse just more aggressive. Now obviously the front lines arent perfect but the shot of this ILX was not identical to the pic of my own so I had to play with it a bit. If done correctly the lines could flow perfect and it would look damn near track ready! Original looks great dont get me wrong. But with the addition of three plastic pieces that cost about 100-150 total. It can really add to the look of the car. Last edited by usdmJON; 12-15-2015 at 03:14 PM. Thanks so much for this! This is exactly what I was looking for! I had a really hard time imagining how the lip would look with the aspec pieces on it. Question though, do you think there will be a gap in the center of the car? Between the lip and the bumper I mean. I do believe there would be. Not sure if you could bend the center part under the car upward and attach it to the plastic under tray. Not sure really. It actually doesn't look bad at all. I rescind my statement. Front component speaker setup question! Quick Reply: Aero kit with front lip?